Turbines come as Shuttle, differential pressure, or calorimetric. Dwyer in-line turbine flow transmitters are sensors with electrical transmission output for remote indication of liquid flow rate. They monitor flow rate through in-line models. Applications include irrigation, process control, drain lines, pump testing, and chemical batching. 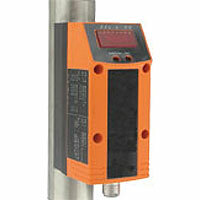 In-Line Flow Transmitters have continuous monitoring of flow rate levels. Applications include waste water processing, process control, drain lines, pump testing, and lubrication systems. Compressed Air Meter operates by calorimetric measuring principle to detect standard volume flow of operating compressed air. Easily programmable digital display. Virtually maintenance free.